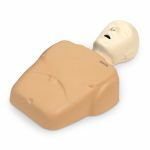 This rescue/CPR manikin replicates a wide range of real trauma conditions that are likely to confront the rescuer. 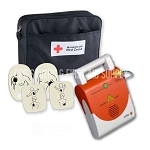 Used for demonstrating and teaching proper CPR and first aid techniques, its features include resiliency and weight of a human body for realistic practice in transport, rescue, and lifesaving procedures. 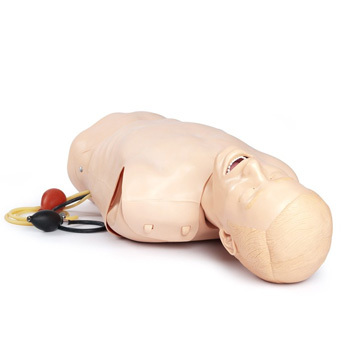 The lifelike anatomical landmarks include: a chest with sternum, ribcage, and substernal notch with natural resistance to chest compressions. The airway ball valve allows the lungs to inflate only with the head extended and accurately positioned. 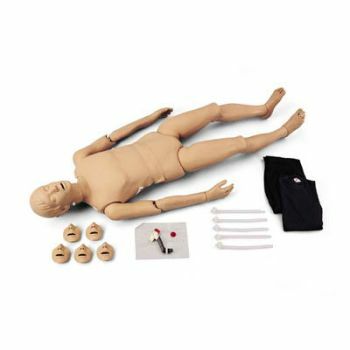 Add our trauma options to fully utilize the realism of this manikin.